We love the scenic train ride to Machu Picchu, we really do. But there’s something about reaching the ancient Inca city of Machu Picchu on foot, over four spectacular hiking days in the Peruvian Andes, that gives us all the feels. 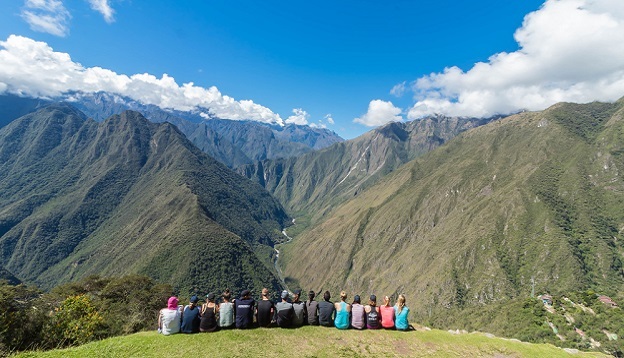 The ancient Inca citadel may well be the end reward but simply reaching it is not what this hike is all about: the Inca Trail is an experience that’s very much about the journey. 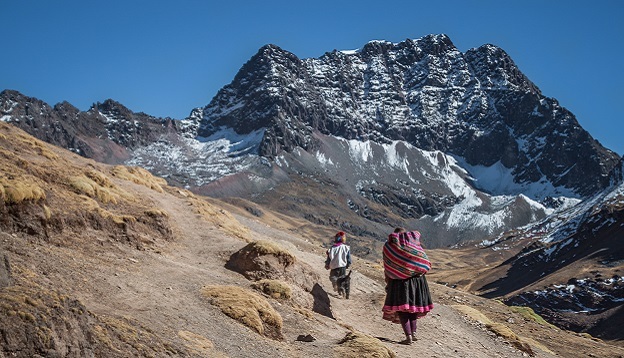 1) The Peruvian Andes are one of the world’s foremost hiking destinations – why miss out?! Avid trekkers and mountaineers head to Peru from every corner of the globe to hike its picturesque peaks and explore its amazing valleys. Seriously, this is one of the world’s most startling high-altitude destinations, where the air is pure, the wilderness outstanding and the scenery out of this world. And you want to miss out on that?! We think not! In Cusco, you’ll meed avid hikers who arrived for a week and are now into their third month. Blimey, many weren’t even hikers to start with but have now become passionate mountain explorers. The central Andes have a magnetism that’s hard to describe and the sheer number of options and hiking trails means lovers of the wonderful Peruvian outdoors can have their absolute fill, for months on end. The Inca Trail to Machu Picchu is just the start (and it’s usually the first one people tackle) but, in this incredible mountainous world, it’s only the tip of the hiking iceberg – there’s so much to discover in the Sacred Valley of the Incas. 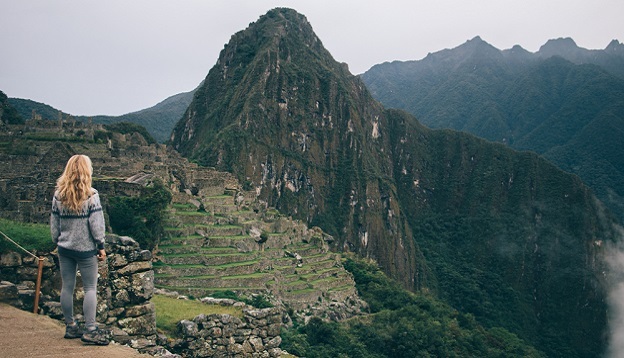 Hiking the Inca Trails adds a whole new dimension to a visit to Machu Picchu. It isn’t just about reaching it (if it were, we’d all just get on the train – it’s faster) it’s about immersing yourself in the remote valleys and peaks that inspired the Incas to revere Mother Nature above and beyond anything else. It’s about retracing their steps, discovering isolated villages and seeing how life still unfolds as if 500 years had never passed. Machu Picchu is still the cherry atop the cake, rest assured, but the cake itself is just as scrumptious on its own. Hike the Inca Trail and you’ll reach the legendary Sun Gate of Machu Picchu at sunrise, a spectacle the likes of which you can’t even imagine. If that’s not enough, the first trainload of day visitors won’t arrive for a few hours still which means, you guessed it, you’ll get Machu Picchu to yourself (or, to be more precise, only in the company of fellow hikers). It’s a just reward, after all your hard yakka: you’ve totally earned this. You can photograph the site without having hundreds of peeps in the frame, you’ll soak up the first rays across the misty peaks, you’ll be overwhelmed at the feeling of achievement. Don’t be surprised if your first glimpse of Machu Picchu moves you to tears – it’s a common reaction after a challenging 4-day hike and as beautiful as the ancient citadel is, it doesn’t usually elicit this kind of emotional reaction in people who leisurely reached it by train. This is usually the prime and most mentioned reason visitors choose the Inca Trail over the train to Machu Picchu. Sharing a unique and amazing travel experience with a group of likeminded travellers builds a special kind of comradery. If you’ve ever cruised the Galapagos or tackled an expedition to Antarctica, you’ll know the feeling: you may cast off as strangers but after experiencing a few very intense travel days in a spectacularly remote destination, you’ll arrive as friends. In any group taking on the Inca Trail hike together, you’ll have a few fast walkers and a few slower ones, you’ll have people who will need encouragement and those who’ll give the encouragement. You’ll take everyone’s triumph as your own (especially over Dead Woman’s Pass!) and everyone will get a round of applause and a pat on the back when they finally reach camp, at the end of every day’s walk. It’s a wonderfully bonding experience and just as rewarding for solo travellers as for those who hike with companions. 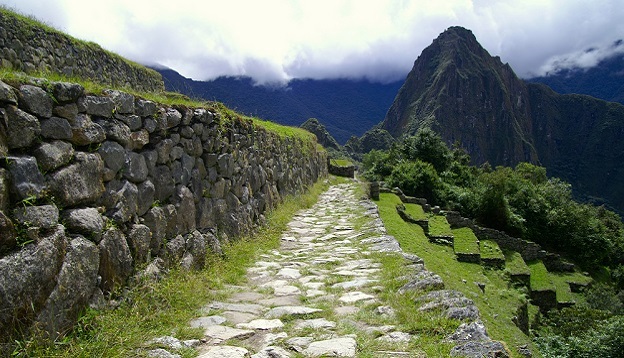 5) Hiking the Inca Trail may not be as difficult as you imagine – (almost) anyone can do it! Sometimes, we’ll ask potential guests why they wish to take the train instead of hiking the Inca Trail to Machu Picchu and, aside from being short on time (perhaps the most popular reason) the most oft-mentioned reason is that ‘it’s just too hard, I couldn’t possibly do it’. But you’d be surprised. 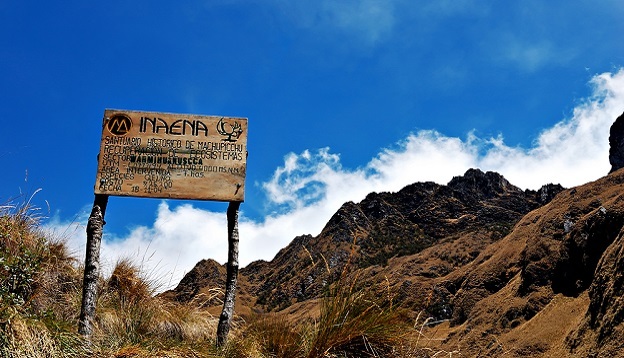 Naturally, restricted mobility, medical conditions or a poor fitness level are very valid reasons to take the train yet the Inca Trail hike itself is not as difficult or impossible as many imagine. Yes, it’s a hard one, but it’s doable, as long as you do all the right things. 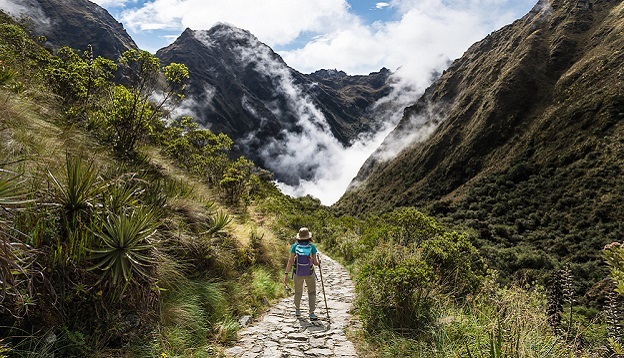 Hiking the Inca Trail can be the health kickstart you need: it’ll entice you to prepare and get fitter before you travel, it’ll introduce to the basics of altitude hiking and, given the advance bookings needed, will also offer plenty of time to prepare. Once there, a slow pace and positive attitude will see you succeed, like so many others before you, in their 30s and 40s but also in their 50s, 60s and 70s. We’ve had grandparents take on this challenge like champs – you’ll get all the support you’ll need and can tick off this bad boy like it’s nobody’s business. It’ll certainly raise your tour of Peru to a whole other level! 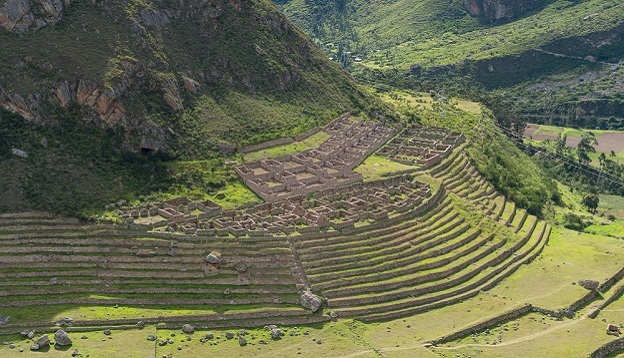 The Inca Trail offers a backdoor entry to Machu Picchu and, along the way, guides you past some of the more important archaeological ruins ever discovered. MP may get all the hype but those you visit along the trail are somehow even more impressive: unknown, remote and uncrowded. Many people’s favourite memories are usually made on the trail, not at the tail end of it and that’s probably because they know to expect Machu Picchu and are completely blown away by what they discover on the way. We won’t reveal too much. When it’s all said and done, you can swing in your rocking chair when you’re 90 and tell the great-grand kinds you ‘hiked the Inca Trail to Machu Picchu the way the Incas intended” and that may just be the most epic reason of all to skip the train. An unforgettable achievement, a stupendous cultural and natural experience and a memory that’ll stay with you forever. Check out our array of Inca Trail to Machu Picchu itineraries and contact us here to start planning your once-in-a-lifetime tour of Peru. The Inca Trail to Machu Picchu is the most famous and popular trek in South America and with its spectacular setting in a part of the Andes still rich in the relics of the Inca civilization, its renown is justified in every respect.